Pigmentation involves an increase in synthesis of pigment by pigment producing cells in the skin. There can be various causes related to skin and internal disorders or external agents. Pigmentation of the face , as in melasma may be hormonal , sun aggravated or cosmetic and drug aggravated. Pigmentation can occur after burns, trauma , friction or chemical contact. If you are one who is experiencing brownish skin discolorations or dark, splotchy patches at your skin, you may be suffering from what is a common complaint known as skin pigmentation.There are many factors that can instigate skin pigmentation to occur. Dark patches maybe seen on the cheeks and face which could be due to hormonal issues, excessive sun exposure and can be of various types such as melasma, , phototan, dyschromia, freckles etc. Hyper pigmentation is a common, usually harmless condition in which patches of skin become darker in color than the normal surrounding skin. But the condition is very embarrassing. The suffer have the symptoms of depression, inferior complexity. They often loose the chance in many jobs, where beauty in the priority. - Human skin color is primarily due to the presence of melanin in the skin. Skin color ranges from almost black to white with a pinkish tinge due to blood vessels underneath. 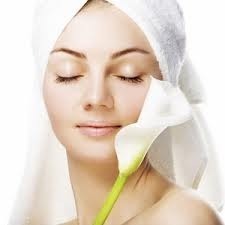 - Pigmented skin can be oily, dry, normal or combination. Urtica urens: choose to use Urtica when you have a mild burn or sunburn, with stinging and burning pains that are worse with exposure to warmth (hot water, air temperature, becoming heated in bed, etc). Causticum: choose to use Causticum to treat moderate burns or sunburns, with mild blistering. This remedy can also be used for burns that recover slowly. - Skin tightening treatment chennai, Skin lightening treatment chennai, Skin brightening treatment chennai, Skin fairness treatment chennai, Skin polishing treatment chennai, Skin rejuvenation treatment chennai, Skin pigmentation treatment chennai, Skin treatment chennai. Dr. Richa Jain provides Anti Pigmentation Treatment through Advance Peeling & Laser Technology. We provide all treatments in dr.
We are one of the eminent brand names in the industry for providing services related to skin care treatments like Pigmentation Treatment. These days everybody wants their skin to look fresh and glows every time. We offer a unique technique of pigmenting skin with very high quality papayas which are very much effective. TPT is the artistic application of pigmentation dots to bald or thining area of scalp around existing hair follicle to recreate the appearance of closely shaven scalp. TPT is typically used to create the appearance of fullness to thining hair or to camouflage a scaring alopecia or camouflage hair transplantation or other scalp scar.